Before there was Beyonce making protest songs and performances in honour of Black Lives Matter, there was a little lady from Chicago with a big voice who did it first. Mavis Staples, along with her siblings and beloved father Roebuck ‘Pops’ Staples, has been singing for freedom and quality for nearly six decades. The Staples’ ‘Why (Are We Treated So Bad)’ was Martin Luther King’s favourite song, and the group frequently performed for him and marched with him. The group became one of the iconic acts of the era, with Mavis Staples earning her rightful place in history as one of the world’s greatest singers. Today it was announced that she would be releasing a new album entitled If I Was Was Black on November 17th on Anti Records. She has also released the title track off the upcoming album, an uplifting modern civil rights anthem. 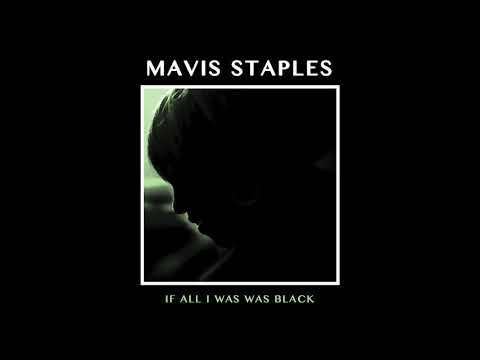 The album cover of Mavis Staples new album ‘If All I Was Was Black’. She may be 77, but she still has that big warm voice, and after all these years she still has a message to spread. And long may she continue.